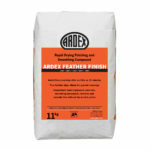 Ardex K 301 Levelling Compound is a Fast Setting Resurfacing and Levelling Compound for Concrete. Comes in 25kg bags. Ardex K 301 is a grey powder consisting of special cements, graded aggregates and high quality synthetic resins. When mixed with water, a fluid mortar is produced which sets after approximately 1 hour and can normally be walked on after 2-3 hours at 20°C. 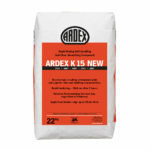 Ardex K 301 can be applied from 2mm to 20mm in a single application. The set and hardened surface is usually ready to receive light rubber wheeled traffic after 48 hours at 20°C. 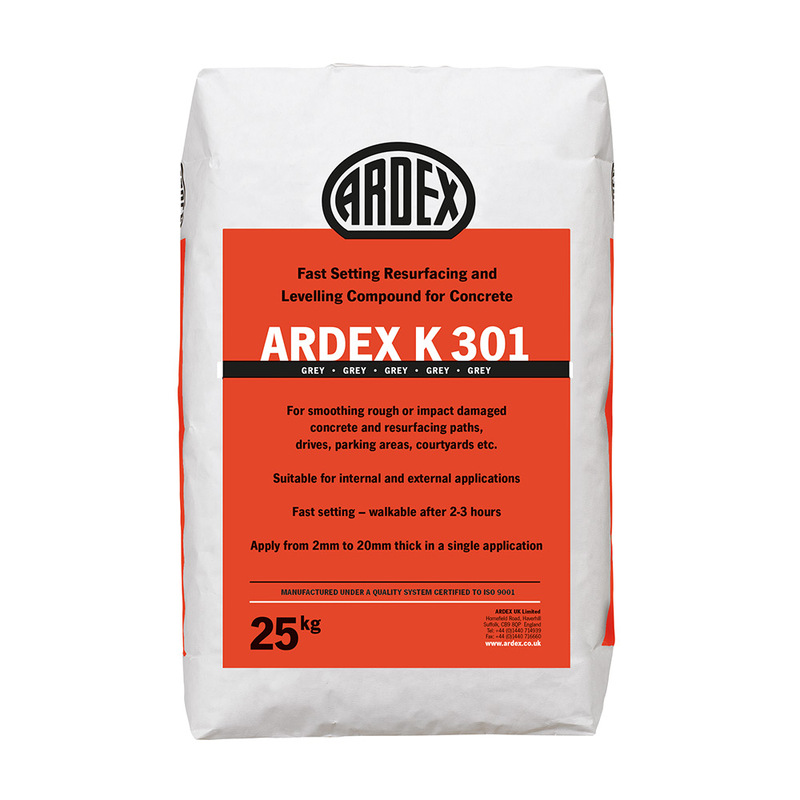 Ardex K 301 will smooth and level concrete surfaces such as balconies, patios, domestic driveways, garages, walkways and other concrete surfaces exposed to normal foot and rubber wheeled traffic. 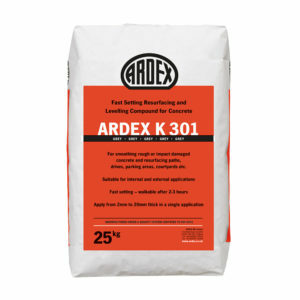 It can also be used for filling holes and resurfacing damaged floors, such as concrete or cement/sand screeds, as well as pre-smoothing concrete floors prior to the application of a suitable damp proof membrane, such as Ardex DPM 1 C/1 C R.
NOTE: Ardex K 301 is not recommended for heavy duty industrial floors, public highways or traffic with solid or metal wheels. Ardex K 301 is suitable for permanently wet areas and may be used in swimming pools where it can be tiled onto directly. Not recommended for areas of intensive abrasive use in wet areas. Do not apply over asphalt or tarmacadam surfaces. 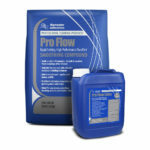 The hardened surface should be protected from spillages and materials which damage concrete surfaces. If required, the dried surface can be painted. Ardex K 301 can be applied neat from 2mm to 20mm thick. NOTE: The thickness of combined layers should not exceed 20mm. Approximately 1.6kg of powder/m2/mm, i.e. approximately 3.0m2 at 5mm thickness per 25kg bag.